I’ve written about our amazing weighted blanket before and the fantastic effect it’s had on my son with ADHD. After years of difficult bedtimes and restless nights, we found the best weighted blanket that literally erased my son’s bedtime troubles. I am so happy I purchased our weighted blanket from SensaCalm. I initially chose SensaCalm because of the awesomely informative website and breadth of blanket choices. At the time, I had no idea just how awesome the company was! I love sharing awesome things that I find with my readers and I just explode when I talk about this company!! 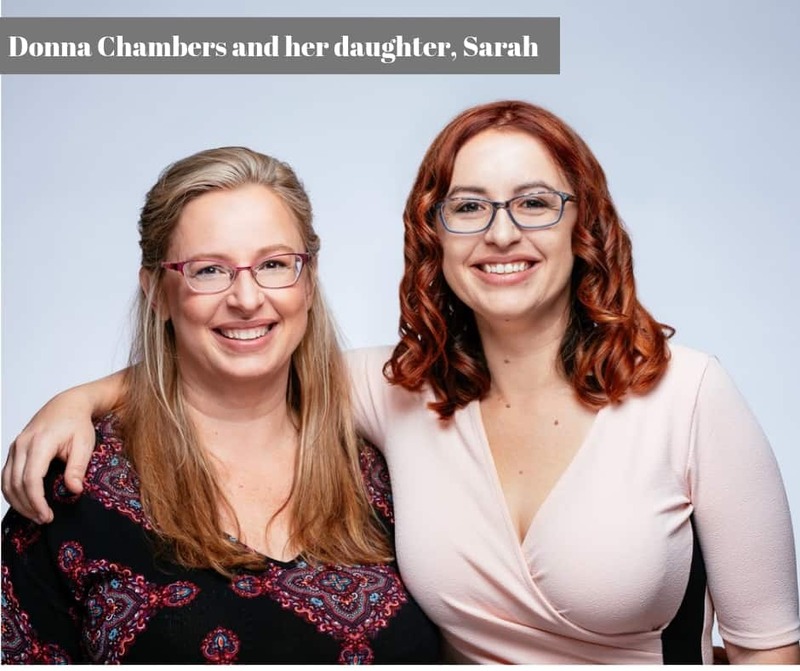 Donna Chambers, SensaCalm’s founder and CEO has an amazing story to tell. 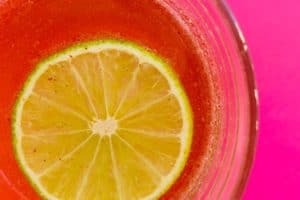 I also wanted her to give anyone who is on the fence about purchasing a weighted blanket a little more insight into the power of this simple and highly effective natural remedy. Don’t miss the special discount code at the end of the interview! Welcome Donna Chambers, SensaCalm CEO! 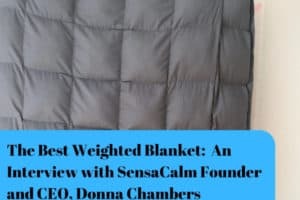 Fuzzymama: Donna, I realize that a weighted blanket is a big purchase, so I wanted you, as the founder and CEO of SensaCalm to tell us a little more about your company and give us a bit more insight into how a weighted blanket can help ease issues around getting a good night’s sleep. 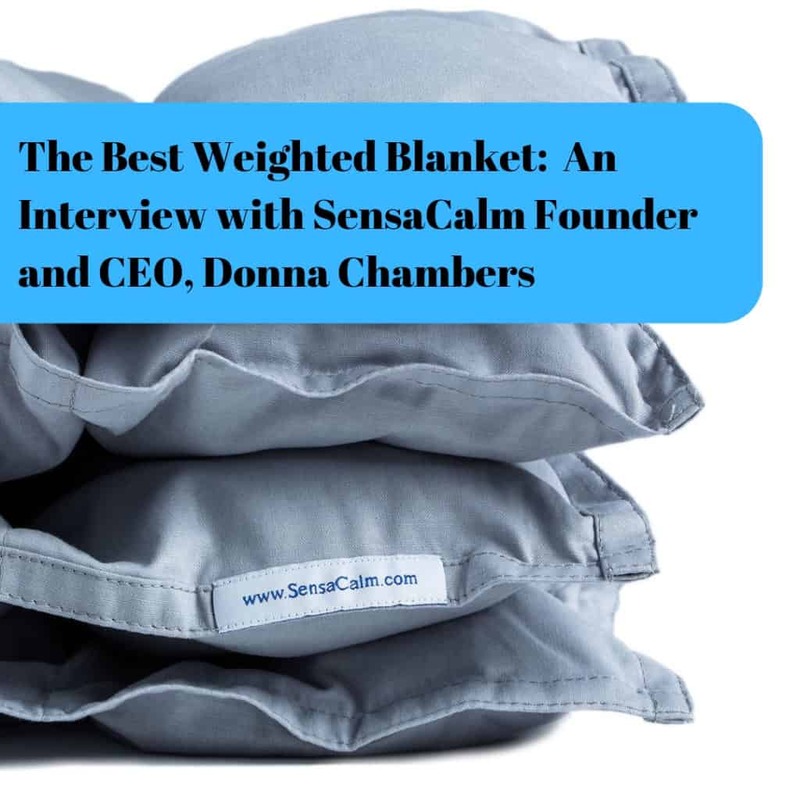 Donna from SensaCalm: While weighted blankets have become extremely trendy in the past year for those seeking a natural way to achieve better sleep and reduced anxiety, we’ve been making them here in the US for the past decade. 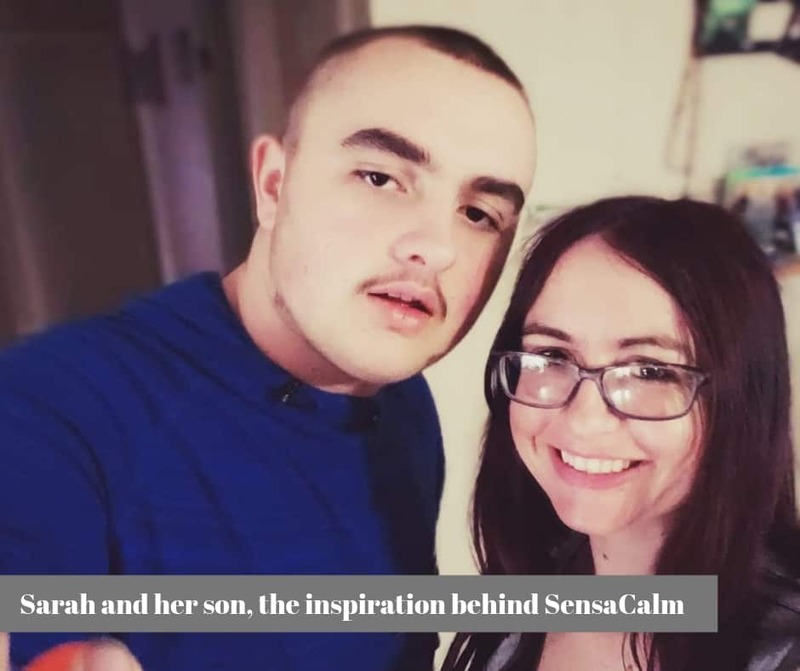 I founded SensaCalm in 2008 when my grandson was diagnosed with autism and I was having trouble finding natural ways to soothe his stress. I’d heard about weighted blankets but couldn’t find any well-made, affordable ones so a friend and I began sewing them in our church basement. We saw a need for easy-to-navigate online shopping and filled that need. Once our website was up the orders started pouring in from all over and the business really bloomed from there. I went from being a concerned grandmother to becoming the CEO of one of the world’s longest-running weighted blanket manufacturers, now employing 30 people in our Chattanooga, Tennessee headquarters. Fuzzymama: You are such an inspiration, Donna! I know my readers can relate to doing everything we can for our kids who are struggling. Weighted blankets can be beneficial for lots of people, what kind of feedback do you get about how they have helped your customers? 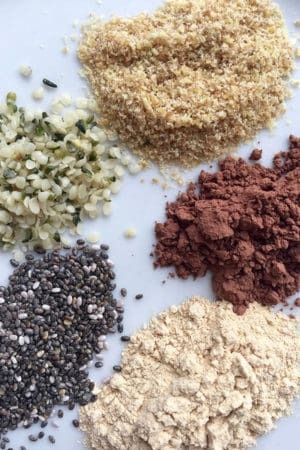 Donna of SensaCalm: Because we’re so hands-on with our customer service from helping folks with their initial orders to following through after the purchase we get sooo much wonderful feedback. For example, just today a mom thanked us because her 12-year-old daughter has ADHD and has not slept through the night since she was born. We’re blessed to have such wonderful customers and never take them for granted. Their feedback and return patronage are honestly what keeps driving us forward as a company and inspires us to work even harder and expand our product lines. 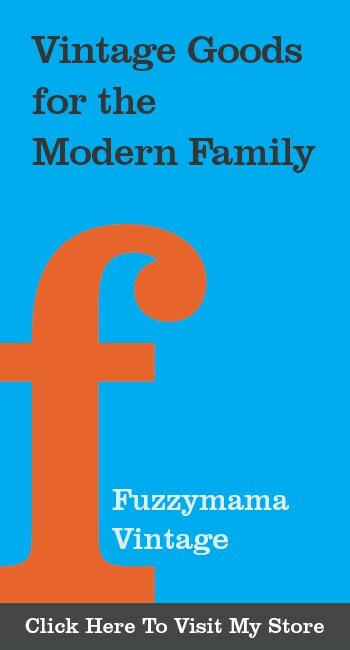 Fuzzymama: Can you give us your best tips for choosing the right weighted blanket? Donna of SensaCalm: The entire blanket, base and all, needs to be washable. Know exactly what is in your blanket. (is it safe?) Can you trust that the company you are buying from is telling you the truth about what your blanket is made of? How Big Should My Weighted Blanket Be? Will they be there six months from now if you need them? What is their customer service track record like? Fuzzymama: This has been so helpful, Donna. Is there anything else we should know about weighted blankets? Donna of SensaCalm: Buying an imported weighted blanket will lower the quality available to everyone. USA manufacturers will either be forced out of business or be forced to pay employees less than a fair wage, use bad quality materials and/or close their American manufacturing facilities and import products with unknown safety and quality as well to stay in business. So while we completely understand that price is a major factor in which blanket you purchase it shouldn’t be the only consideration, especially if you plan to have the blanket for longer than one year. 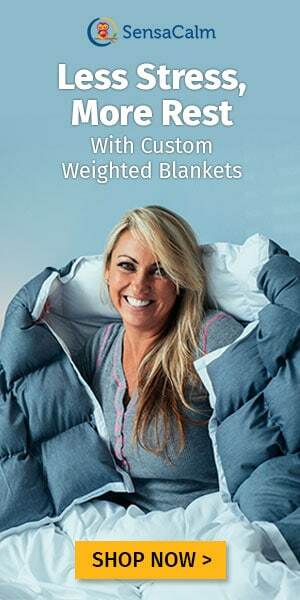 In fact, the recent wave of competition from cheap sweatshop produced or overseas robot-farm knockoffs has inspired us to offer a new economy line of weighted blankets that maintains our US-made quality standards but offers another option for folks who deserve rest but can’t afford our top line, custom sewn blankets. Regardless of where someone purchases their blanket, we hope they’ll do some research and end up with a blanket that will offer them comfort and rest for years to come. Fuzzymama: Thanks Donna!!! I am so honored to be able to bring my readers this interview. I so admire you and your family and the amazing company you have been able to build. 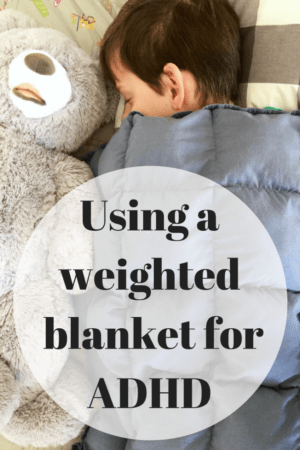 You may have read about our experience with a weighted blanket in this post, but let me tell you again. 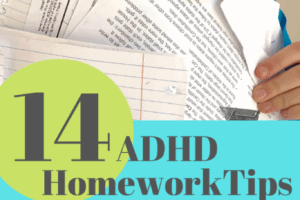 My son with ADHD had a really hard time settling himself to sleep. 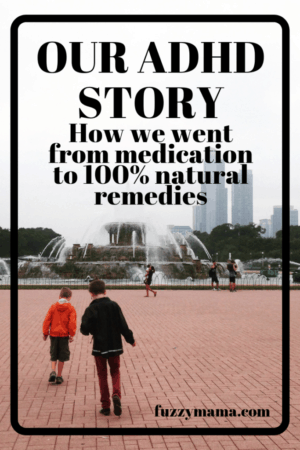 For years, even with our nighttime routine, he would often still rustle around, go to the bathroom multiple times, need me to sit on the stairs or in his room — I am sure many of you can relate. With his weighted blanket my son falls right asleep, meaning he not only gets the rest he needs, but I get time back to have a relaxing evening with my husband! I was a bit reluctant to spend the money on a weighted blanket, but was comforted by SensaCalm’s return policy. I purchased a blanket from their clearance section and have been so happy with it! The quality of the blanket could not be any better. Even after two-plus years, it looks brand new. If you haven’t already, take a look at SensaCalm’s website and see all they have to offer! Donna is offering a special discount code just for my readers! When you shop use the code fuzzymama for 10% off any blanket! Thanks Donna! !